Call and message your friends with Talkray! 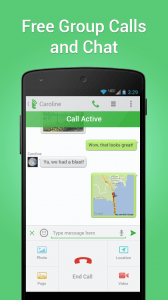 Talkray is the fastest free calling and messaging app. Loved by millions of users. Send your friends messages, pictures, or even call them all at once for free over Wifi or 3G! Q: Does the other person need to have Talkray installed? A: Yes, please tell your friends about Talkray. Q: Can I add people to an ongoing call? A: Yes! Click the ‘Add Participant’ button. Q: Does Talkray use voice minutes or texts from my phone’s plan? A: No, Talkray only uses data to provide free calls and messages. • Featured worldwide by Google in Staff’s Pick! Named “Top Developer” by Google! • All the emoji you can handle! • Share privately with your friends. 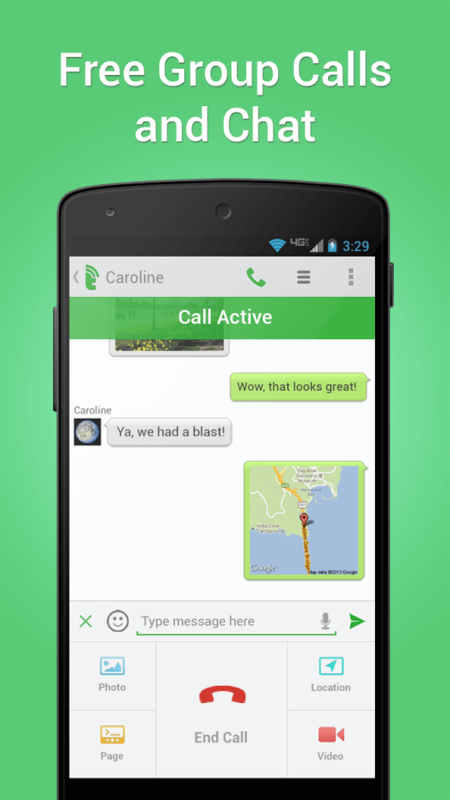 • Send text, voice messages, pictures and videos, even during a live call! • Remember the 90’s, when pagers were a thing? Yep, we’re bringing that back. • Doodle and add effects to photos. Show your artistry! • Couldn’t answer a group call? No problem, join an ongoing group call with one click. • See who is speaking – no more confusion about who is talking in a conference (group) call. • Ditch SMS, text with Talkray.